In the surreal universe of music festivals, it's easy to forget about this little concept called "reality." You forget about real adult obligations—bills, deadlines, watering your plants, sunburns. The festival grounds can be a wonderland, until of course you come back for day two with an epic sunburn that would make Doug from The Hangover proud. Repeat after me: never forget to pack a good sunscreen. While every festival has different rules and prohibited items lists, it's safe to assume that you should leave your aerosol sprays at home, and stick with a lotion or stick sunscreen. Hot dang, y'all. This face-specific work of art is all you'll ever need to fight the rays of the hot ACL sun. With Organic Evening Primrose and Linseed Oils, this water (read: sweat) resistant formula is age defying, infused with antioxidants, and is designed to even skin tone, balance moisture, and keep your skin hydrated. Win-win-win-win-win. Not just for kids, this stick easily applies to already wet (read again: sweaty) skin, making sure it doesn't drip off as soon as you put it on. It also helps provide broad spectrum UVA/UVB protection aka all you'll really need. The perfect sunscreen for the eco-minded festival goer in all of us. Go read the product description on their website (and try not to drool), this sun screen is like rubbing the entirety of Whole Foods into your skin, and won't drip off when you're running from stage to stage. For when you just know you're going to run into the lead singer of your favorite band, this multi-functional BB cream with SPF 30 conceals blemishes and offers sun and dust protection. Just dust on a layer (after you've applied your regular sunscreen), and you're good to go! Recommended by The Skin Cancer Foundation for daily use, this makeup brand's first foray into sun protection is infused with antioxidants like maracuja, red algae, and soybean extract to brighten and firm skin. Plus, the bottle is cute. 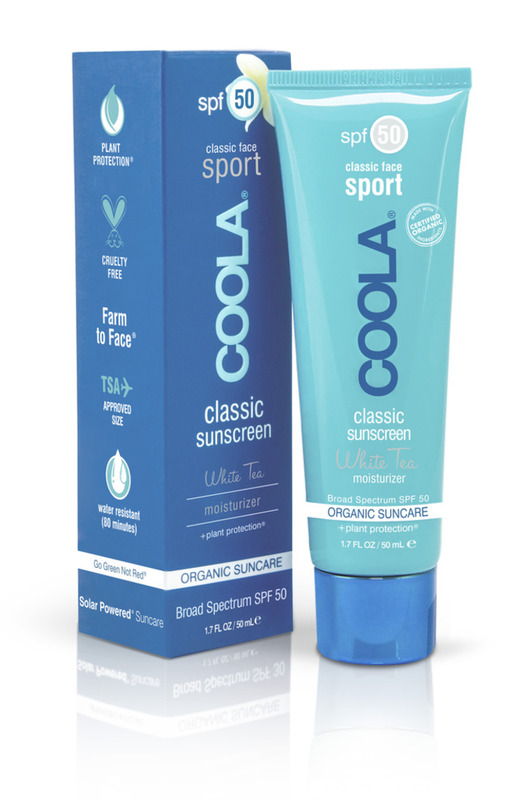 Not only does this sunscreen boast COOLA's "Perfect 10 Blend" (a perfect cocktail of willow bark, hemp, honeysuckle, lycii berry, gota kola, acerola, green tea, kelp, mandarin and rooibos tea) but it's non-greasy formula's notes of cinnamon, clove and banana will make you smell like a godsend in the middle of the sweaty masses.